Hey my dear girls! Your Fashion Diva is always here to inspire you and to show you the newest fashion trends that has appeared on the street. My post for today is called “Street Style Black And White Enjoyment”. The Spring and the sunny days are already here. Are you excited? As fashionistas, we should always look amazing, so we should update our wardrobes with some stylish pieces that will highlight our beautiful curves. Don’t neglect the makeup, the hairstyle and the nails, because they are also important. What kind of pieces of clothes you should wear this season? What colors are going to be popular and much more you will discover if you read the text below. Despite the pastels and the other fresh colors, the black and white will hit the street style. The stripes dyed in black and white, in some cases, red, brown, yellow, milky pink and gray will be undoubtedly the biggest hit among the girls. But in this article we will stick to the classics. With the advent of the new season, the editors are eager to create a cover photo shoots and clothing with stripes. This “new” trend totally captures the vision to give it individuality and rebellious unconventionalism dose. Stripes are a great way to create an illusion – attracting glances add some drama and accentuate the silhouette of a woman. Check out the gallery below and inspire yourself! This Spring is all about stripes and you should definitely put at least one striped piece in your wardrobe. 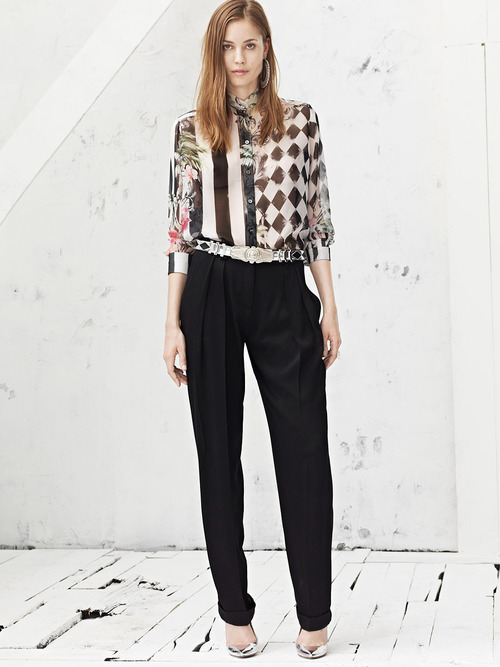 Refresh your look with pants, dress or striped blouse, make a statement with such a piece and go out with style. Enjoy in the rest of your day and don’t forget to stay up to the contents of Fashion Diva Design!